Beatmakers and classical piano players have different goals, so learn to improvise on the piano as a BEATMAKER. Learn extremely helpful techniques such as arpeggios, inversions, etc. Play piano with both hands! Tricks to stay super motivated to want to practice! 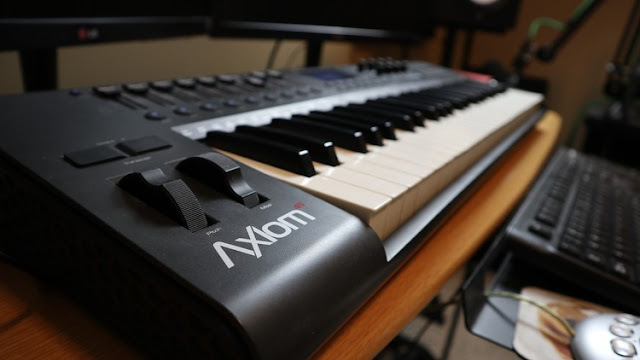 Have a Piano/MIDI Keyboard to practice with. There are tons of videos on the internet in regards to learning the piano, but over my years of producing beats, I've realized we as beatmakers play the piano differently than someone trying to learn classical piano. So why do we have to learn the piano from a classical standpoint when we're wanting to create awesome beats - whether that be beautiful piano beats, or just have a better understanding of chords and improvisation? As a beatmaker, we create repetition. Popular note placement, counting beats, and different rhythms in the industry. I have been practicing piano almost every day for the past 5 years, and these are the things that I have discovered and want to share with you within this course. By the end of the course you will have an in-depth understanding of chords/scales, and be able to improvise on the piano. From here on out, it's up to you to practice with this knowledge to take your productions to the next level!